Not only is skin cancer the most common form of cancer diagnosed in the United States, but there are more new cases of skin cancer each year than breast, prostate, lung and colon cancers combined. It is especially common in young adult women. Early detection of Melanoma skin cancer could save your life. A monthly head-to-toe self-examination is highly recommended by the Skin Cancer Foundation. Doing so monthly will make the detection of any new growths more easily spotted. While Melanoma Skin Cancer is a very dangerous form of cancer, it is one of the most easily treated. The American Academy of Dermatology has created a body map for individual’s to track body growth changes. Most physicians also recommend the ABCDE method of detecting melanoma. Melanoma tends to take an irregular shape. Benign moles are typically symmetrical. 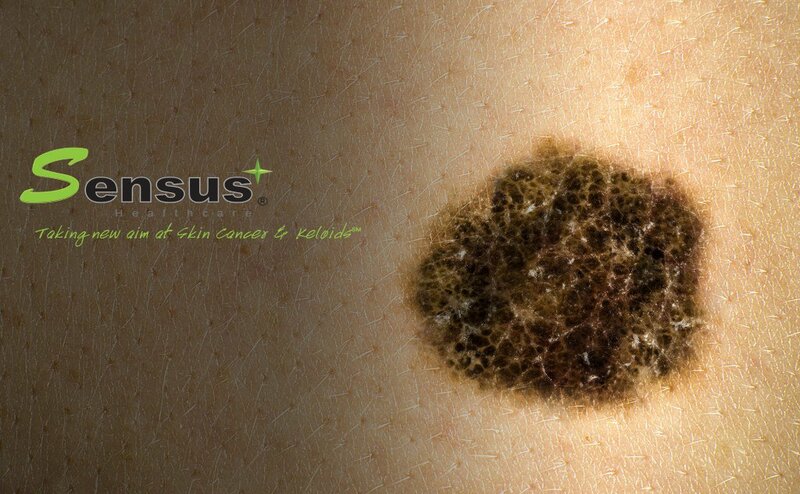 Melanoma borders often have an irregular border, while a benign mole is smooth. Melanoma is often found to have several shades of browns, tans and sometimes black pigmentation. Benign moles are generally a single shade of brown or tan. Melanoma is often as large as a pencil eraser or 6 millimeters, while benign moles are typically much smaller. A growth that has changed in any way over time should be an automatic cause for concern. If you feel as though you have an area of your body that may possibly be cancerous, it is best to contact your dermatologist for an exam. Have you found a suspicious growth during a self-exam and want more info on the SRT-100™? Locate a SRT physician today.